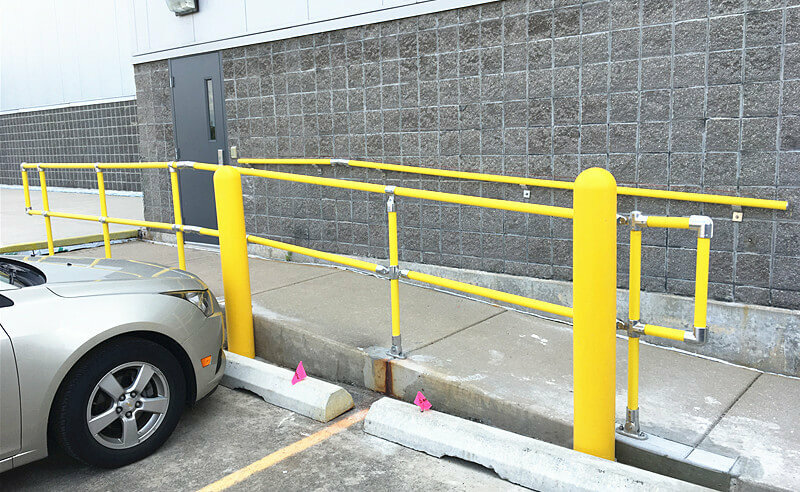 The density of fiberglass parking barrier is about one third that of steel parking barrier. Since the density of FRP material is 1.9 g/cm3, while the density of steel material is 7.85 g/cm3. It can greatly reduce the suspension load of the gate brake. Therefore, they can use a electric motor with small power, smaller gearboxes, smaller balance blocks and a lighter form of structure. It can help to achieve the purpose of saving energy and improving comprehensive efficiency. The elasticity modulus of fiberglass rods is one fourth that of steel rod. The elasticity modulus of FRP material is (4.0-6.0)×104MPa, while that of steel material is 2.1×105MPa. 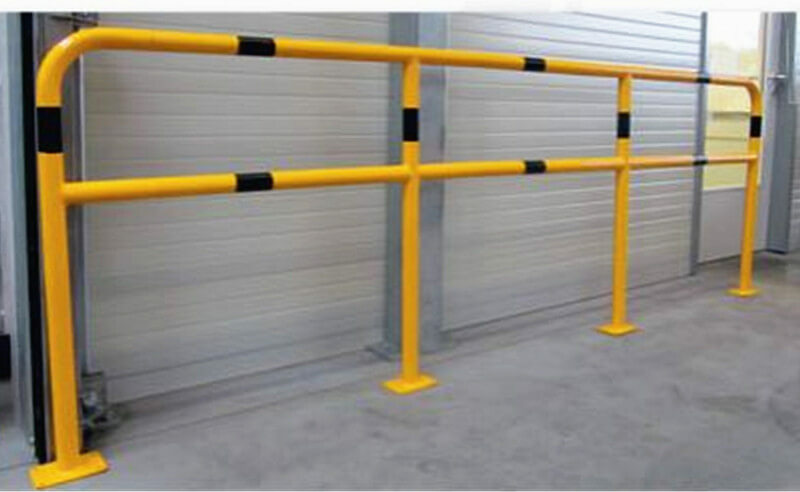 In this way, it can prolong the service life of the parking barrier, increase the effective stroke of the parking barrier, and increase the effective opening and closing times. The glass fibre reinforced plastic properties include good corrosion resistance and fatigue resistance. The joint on both ends of the glass steel rod can be made of steel with great anti-corrosive properties. As for the body of FRP rod, alkali free, untwisted glass fiber and thermosetting resin are fully infiltrated, then preheated and solidified to form the FRP body. It’s a non-conductor of electricity. We do experiment with the fiberglass rod body in the salt water and carbon dioxide, hydrogen sulfide and other environment, there is no corrosion phenomenon. It can reduce this situation when the brake lever broke due to corrosion and stopped working to achieve the goal of reducing operating costs and increasing production efficiency. 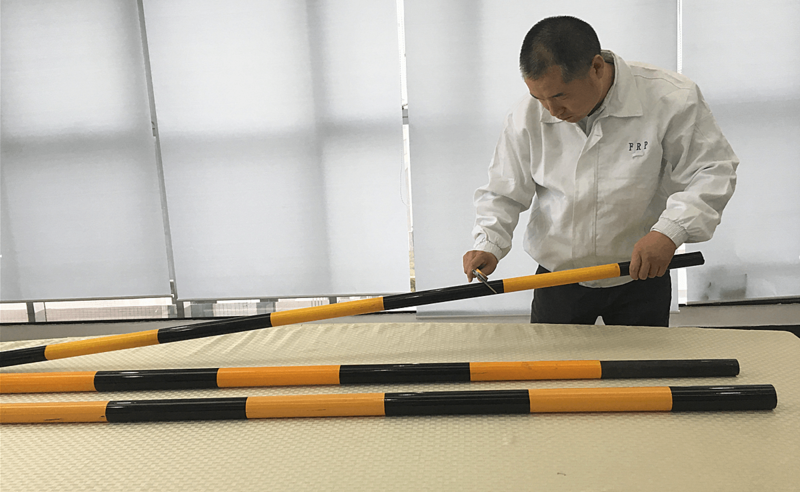 The FRP tensile strength of fiberglass rod is 810MPa, it has reached the tensile strength of steel rod of D grade. In the short term, its maximum stress can reach 300MPa, and the maximum load can reach 15t.